Online Ownership provides a bespoke local SEO service to businesses in Northampton, tailored to suit your business and its online marketing goals. Whether you want to dominate local search results or expand your service areas outside of Northampton, or even take your business nationally, we can provide a tailored SEO solution for your business. 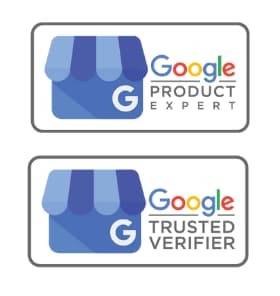 Unlike some other Northampton SEO companies who claim to be affiliated with Google, Online Ownership’s SEO consultant, Tim Capper has been recognized by Google as a product expert within Google My Business. 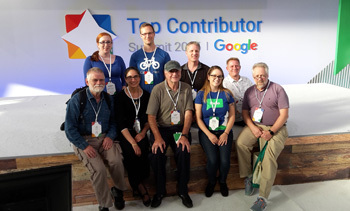 Tim Capper is one of nine recognised Google Business Experts in the world. 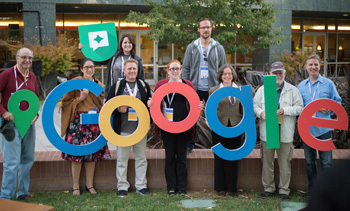 Your business will be looked after by a Google Business Expert. Online Ownership local SEO services aim to increase your online positions both organically and within the new local 3 pack. Providing a holistic approach to your marketing efforts, whether they be offline or online. 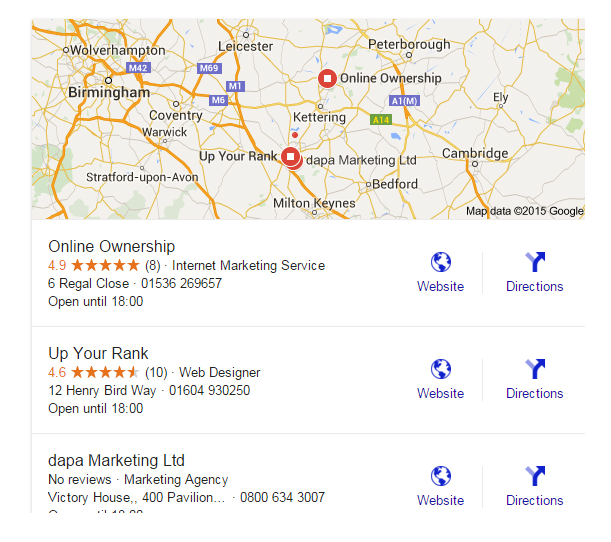 Online Ownership provides local SEO to Northampton businesses without the smoke and mirrors, that you may have experienced with other SEO providers. Our Goal is to provide you with more visibility, increased organic traffic and a better conversions. 27% of the local clicks went to the website. Not every business website requires an ongoing SEO plan. A locally focused micro site may only require some restructuring and on page optimisation, where a large e-commerce site with in-house developers may require compliance audits quarterly. Online Ownership provides a bespoke SEO solution based upon your site and business objectives. Below are some typical SEO costs based upon a business that would require a monthly SEO strategy. Online Ownership also offers bespoke SEO packages tailor made to your business requirements and budget. There are no fixed monthly contracts, but we do recommend a minimum of 6 months to start seeing the results of your SEO campaign. What does our SEO service entail? Online Ownership provides an ethical SEO and Online marketing consulting service. We research your site, your competitors, technical aspects and marketing goals. Our process at Online Ownership can include technical corrections, on site optimisation, content creation and marketing, social media marketing, all designed to provide maximum effectiveness based on ROI. Your websites visibility depends on how Search Engines understand and interpret what your site and business is about. Researching keywords that relate to your business, the demand and usage of these keywords provides valuable insight into what your customers are searching for and how to position your business for these searches. Online Ownership will provide your web developer with the necessary changes required to optimise your website to Google’s recommended guidelines. Most developers have a basic understanding on SEO, but as SEO specialists we are keenly aware of any new developments within browser and search developments. 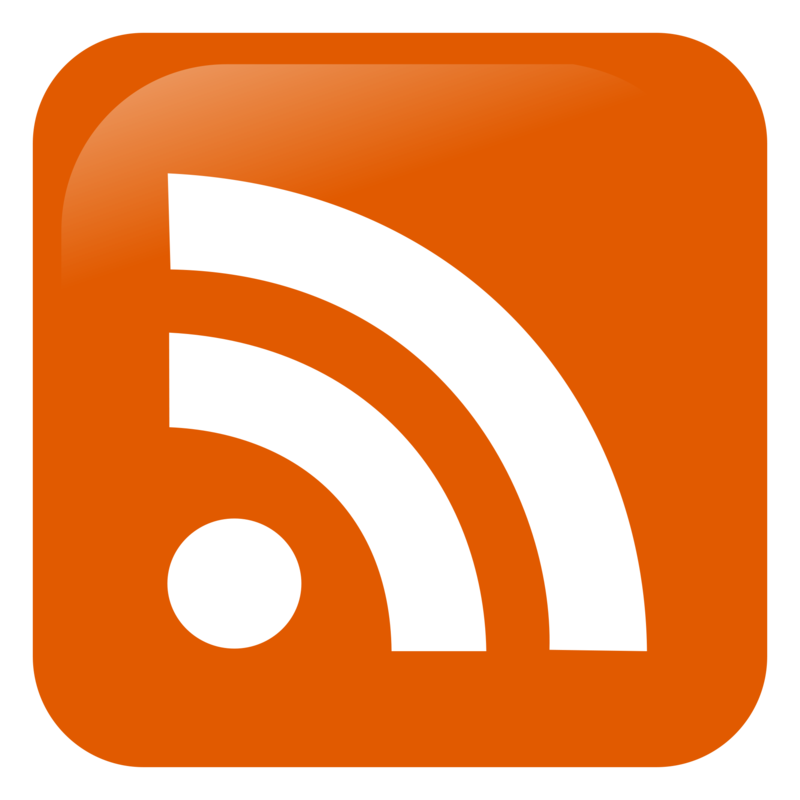 Online Ownership looks for meaningful link building opportunities within your market sector. We do not build links for immediate gain. SEO is not a one off activity, it takes time for search engines to understand changes made to a website, equally it takes time to achieve your objectives. A typical local SEO campaign takes around 120 days to start seeing local results. Your website remains our primary objective and will perform regular site audits, health checks and update your developers on any new potential algorithmic shifts. Ranking in Google is dependent on what: Google feels that a user is looking for, not how many times you have stuffed a phrase onto a page. In an age where Google returns results based upon a persons query and his location, local businesses have a real opportunity to position their businesses locally. So What’s Different About Local SEO? When Should I Start Claiming Local Business Listings? Does Social Media Play a Role in Any of This? Are Reviews Just Something I Have to Wait Around and Hope For? Does Local SEO Really have a Reliable Future? View: What is Local SEO? Online Ownership is located in Corby, Northampton in the UK. We serve local businesses worldwide provided that their site is in English. We currently have local SEO clients operating in the US, Thailand, Dubai, Malta and South Africa.